LeadSA recognises internal staff member Mavhutu Dzege as LeadSA Hero for the month of August 2018 for his outreach initiatives which include the school shoe and food parcel handovers. 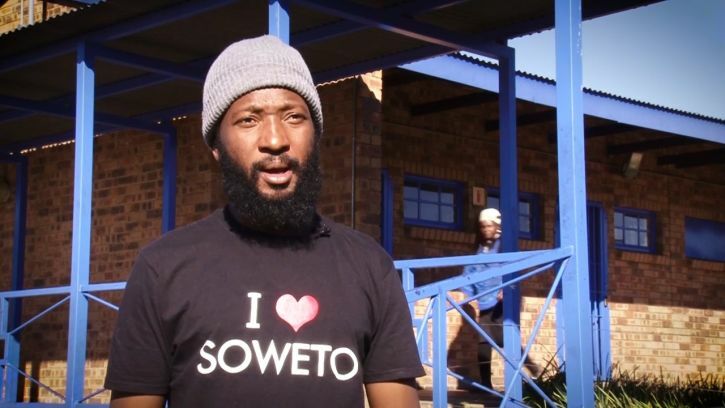 He collects and donates school shoes to underprivileged children around Gauteng and he also raises funds to buy durable school shoes for the children. Dzege ran a race barefoot to create awareness about the long distance that a lot of underprivileged children walk to school. And, the rapid rate of aging on the school shoes as a result of the long distance walked daily. He contacted Barefoot No More which manufactures school shoes from recycled material to supply him with affordable school shoes. Barefoot No More shoes are manufactured in South Africa and are designed for durability, comfort, and flexibility. The shoes also do not require polishing and are fully recyclable. The initiative was started in January 2018 in Soweto. Mavhuthu kicked off his school shoe donation at Tsumbedzo Primary School in Meadowlands East, in Soweto. He also hands out food parcels to underprivileged families during the festive season to share the cheerful holiday spirit. He plans to register a non-profit organisation but says he will not allow that process to delay him from providing help. Mavhuthu is working on a fleece top drive and plans to meet the community needs as they arise. 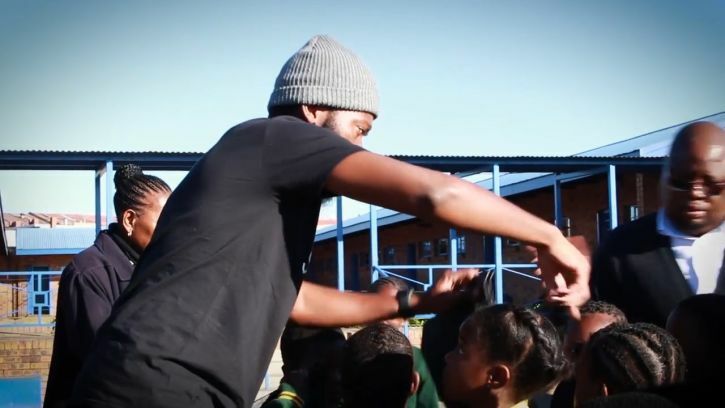 Watch Dzege’s school shoe donation unfolds at Tsumbedzo Primary School here.